While the surging prices of commodities are triggering an instant chain reacting, online wholesale distributors of LED signs, Affordable LED is slashing off prices on their popular LED Signs! Starting from only $59, any business owner can easily own LED signs. What's more, the company is free shipping on all purchases of LED signs! 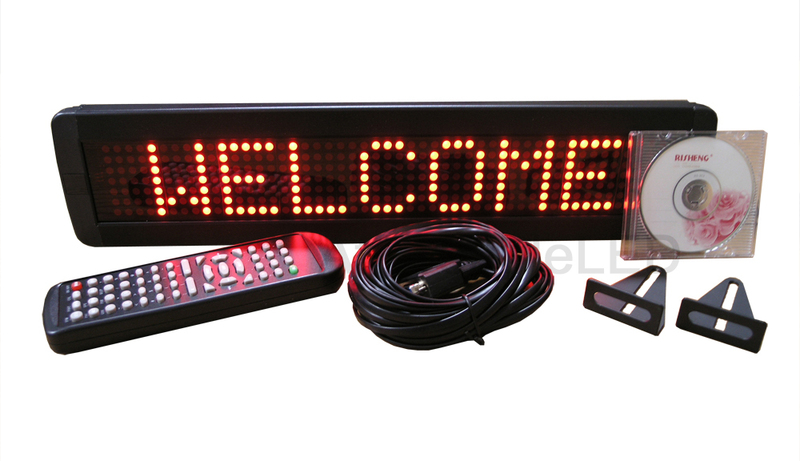 Seller of Creatively-Designed LED Signs at Low, Low Prices! Every business can now have a highly effective LED sign without spending a fortune and can in fact, be a very wise investment in the long run. Unbelievably, LED signs prices start for as low as $59 at Affordable LED. AffordableLED.com, an experienced online LED signs wholesaler is a company that not only prides itself in making the most creatively-designed LED signs; but also making sure that all customers get the lowest priced LED sings online. AffordableLED.com can instantly match or even lower any other LED sign maker who claims to have the lowest LED signs price. Now, more than ever, is the best time to invest in LED signs as AffordableLED.com is offering all its LED signs with the lowest price guarantee. Giving more and more reasons for business owners to invest in LED signs, AffordableLED.com is also offering free shipping (code: "FS880408") on any product purchased on their web store. As a pioneer and foremost expert in the design and manufacture of LED signs, AffordableLED.com has become a highly respected and admired company. Currently, there are already quite a number of highly-creative LED signs being offered by AffordableLED.com. From the usual coffee and laundry LED signs to ice cream and sushi LED signs, practically anything and everything can be made into a LED sign, depending on what the client needs. AffordableLED.com is also focused on directing all their marketing efforts to businesses, big and small, to inform them of the instant advantages of LED signs over neon signs. LED signs are not only cheaper to maintain and operate, it also gives the business more flexibility and creativity in terms of designing an effective and visually appealing business signage. Moreover, LED signs consume around 80% less electricity, giving any business owner an instant advantage over neon signs. LED signs also incorporate movement in their designs, making it more interactive and instantaneously catching the attention of every potential customer passing by. AffordableLED.com also launched a new webpage containing articles on why LED signs are a worthwhile investment. Check out the page from time to time as the company continuously updates it.